White Mexicano FD30 Fire Door The Mexicano design in pristine white. White Mexicano FD30 Fire Door. Five vertical laths surrounded by a solid frame. Engineered, Hardwood, solid core (weight 40kg). Available as a full timber standard (35mm) version, a bi-fold version and as a 1-Light Glazed Vision Panel variant too. 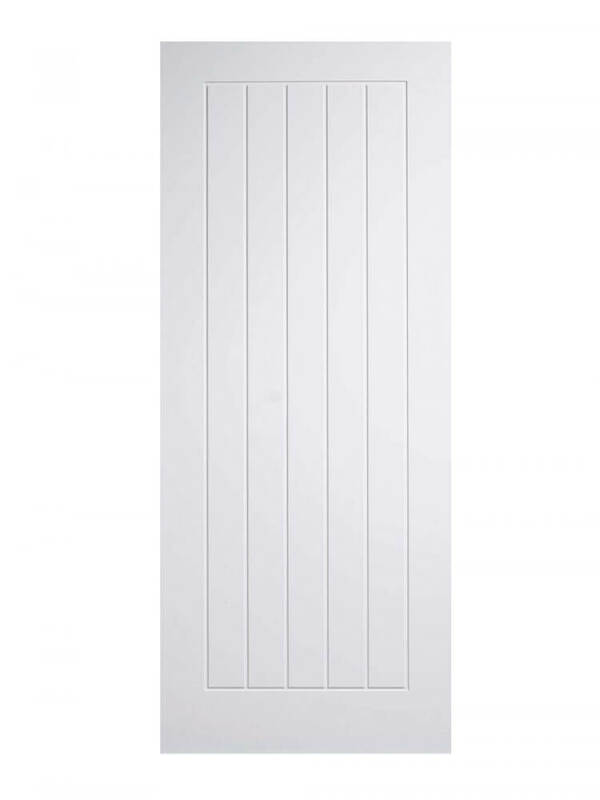 White Mexicano FD30 Fire Door. The standard bearer Mexicano design in pristine white. Five vertical laths are framed to give another modern classic design.